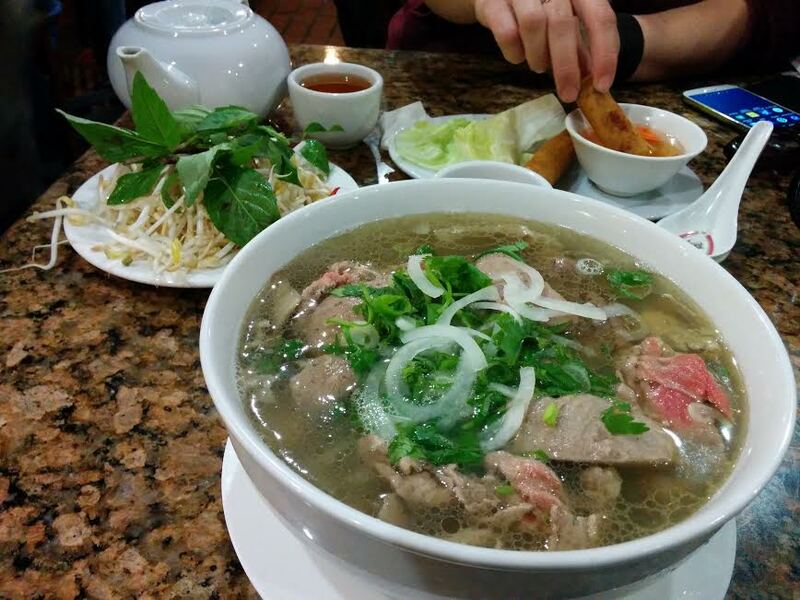 For the uninitiated: pho (fuh? – yes, pronounce the question mark) is a Vietnamese noodle soup. The broth is made from simmering beef bones, charred onion, ginger and spices (star anise, cinnamon). If you’ve never tried pho broth, bring an extra pair of socks because it will blow your first pair right off! 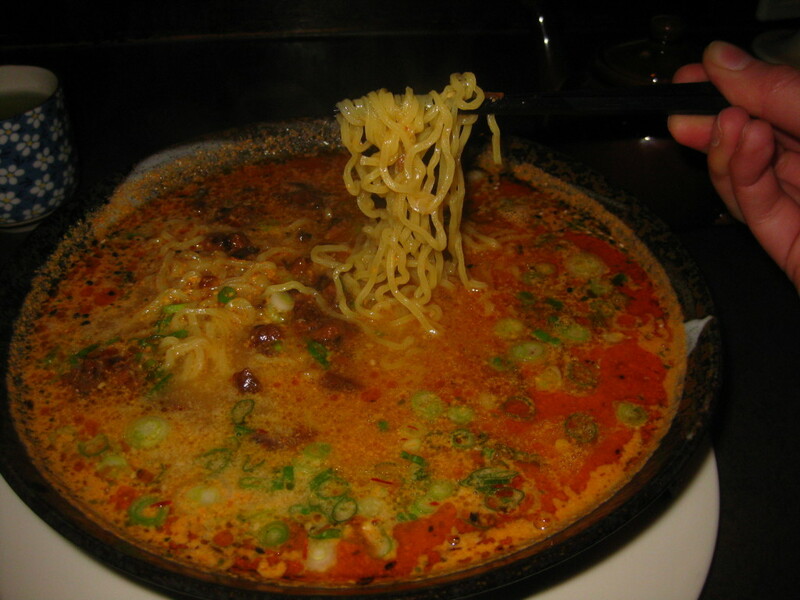 You can generally choose some combination of beef products to be added to your soup. My favourite combination would have rare beef, meatballs, brisket and flank. I’m not adverse to having it with tripe but no tendon, please! Pho Hoai was one of the first places I ever tried this soup, and it was where I wanted to go on my last visit to Calgary. It has a rich, fatty broth and I think they are also known for their pho sate (a popular preparation in Calgary where chili paste/oil is added to the broth). 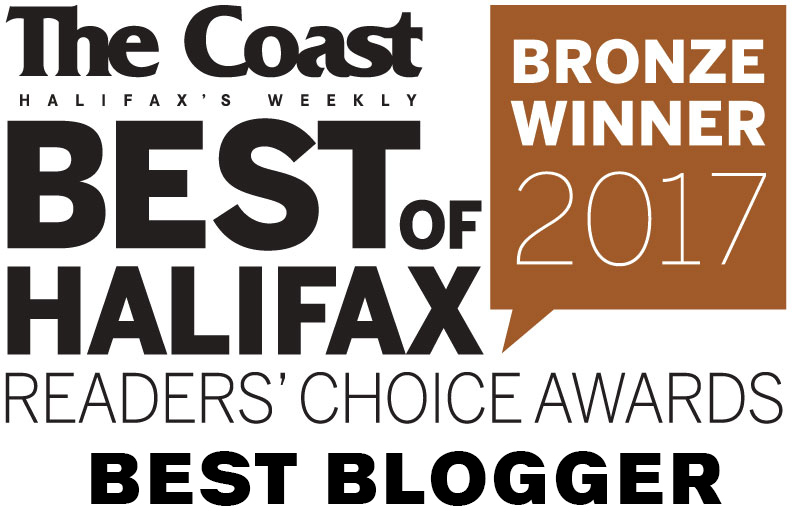 But this isn’t even getting started when it comes to pho in Calgary! An old co-worker took me to Song Huong once to introduce me to Bun Bo Hue, and this was a priority stop for my visit last month. 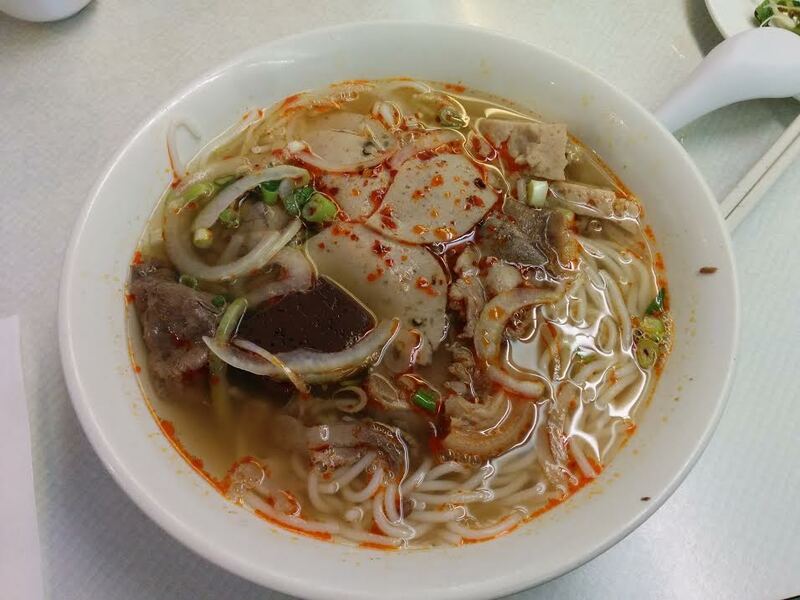 Bun Bo Hue (pronounced boon buh way) is what Song Huong is best known for. Bun (noodle) Bo (beef) Hue basically means “beef noodle soup from Hue” (a village in Central Vietnam). 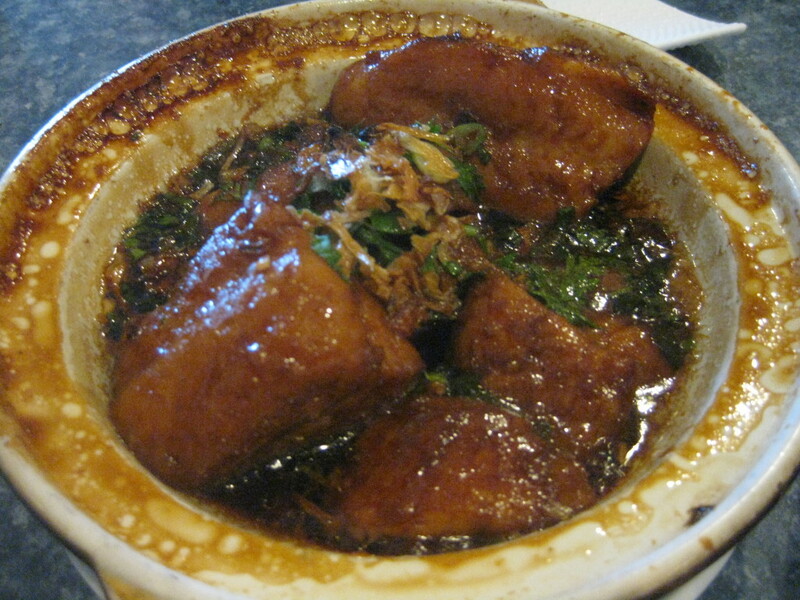 The name is misleading because the stock used is usually primarily pork-based. 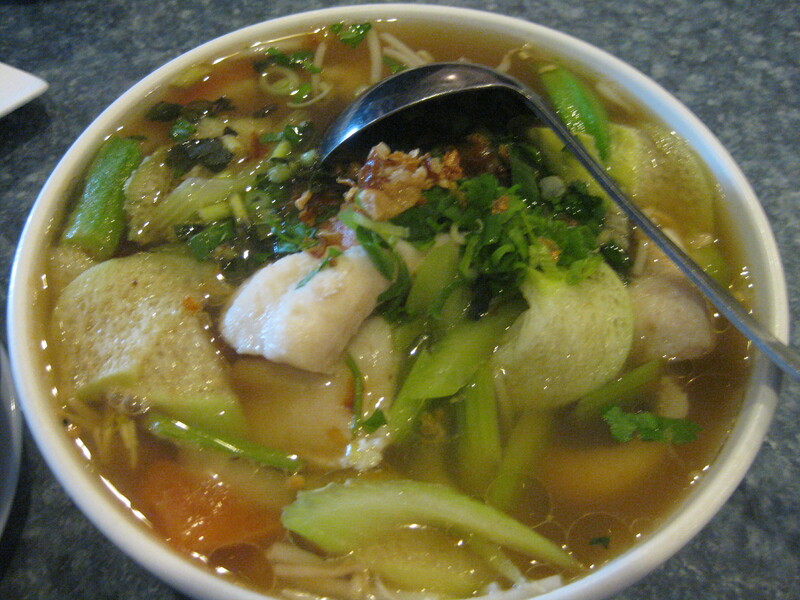 This soup is spicy, sour, salty and sweet with cylindrical rice noodles that are bouncy, firm and kinda slippery. The bowl at Song Huong contains a pork hock, slices of beef, Vietnamese ham and a big ‘ol cube of congealed pork blood. We were given a heaped plate of garnishes – mostly shredded cabbage and lettuce. This soup gets its flavour from pork, lemongrass and shrimp paste. 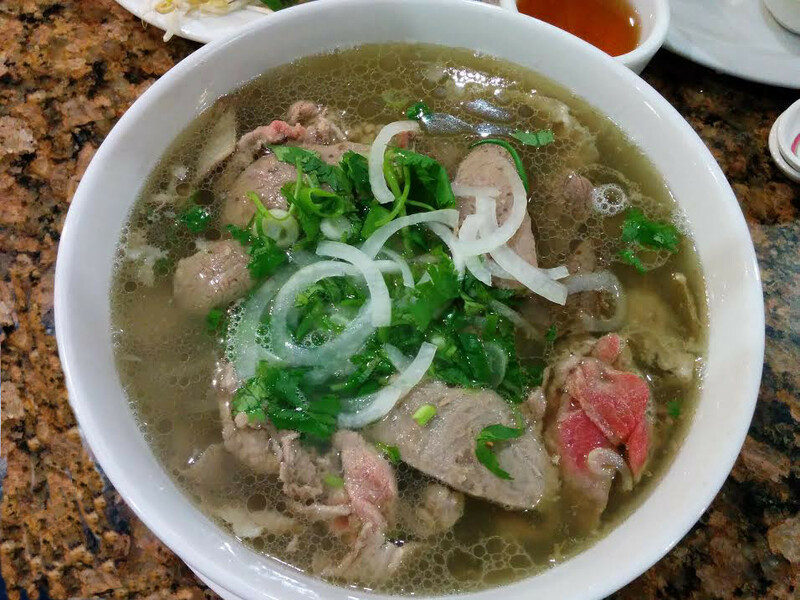 It is a delightful alternative to pho, though still 2nd place for me. Canh Chua is tamarind sour soup, from the Mekong Delta region of southern Vietnam. Sometimes it is called “hot and sour soup” but I’m not sure if this is a mislabeling or if it indicates a spicy version, because at Noodle World there is no spicy heat. My former co-workers, Tan and Virak liked going to Noodle World for the “Meal for 2” ($34.95) which includes Canh Chua Tom huac Ca (sour soup with fish or shrimp), sauteed fish or pork in clay pot, stir fried bean sprout, chive, tofu & ground pork, and steamed rice. Their preference is the fish in clay pot, which is seriously delicious. As for the soup, it is sour in virtue of the tamarind broth and sweet in virtue of the pineapple. It is also loaded with other veggies, herbs and fish or shrimp. It is meant to be eaten with rice. We would put a bit of rice in a little bowl and ladle the soup over it in accordance with our desired ratio. This meal is a great deal, and is easily shared among 3 people (just order an extra bowl of rice). I totally wouldn’t have known about this place had I not been informed on my tour at Tool Shed Brewery by both the Tool Shed guys and peeps from Tourism Calgary. 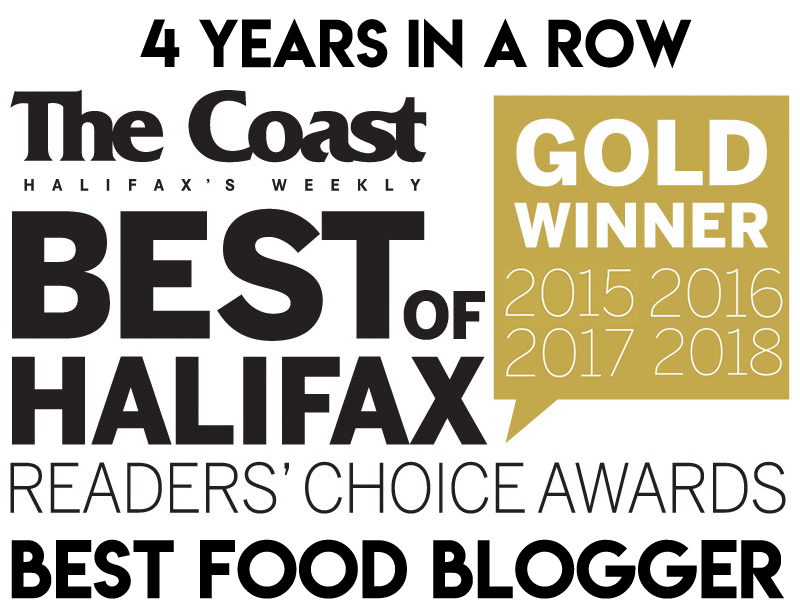 I mean, a quick Google search would have revealed that Shiki Menya was listed as one of the Best New Restaurants in Calgary in 2015 according to Avenue Magazine. But I was so focused on revisiting some old favourites that I didn’t put as much effort into finding the new and trendy spots. 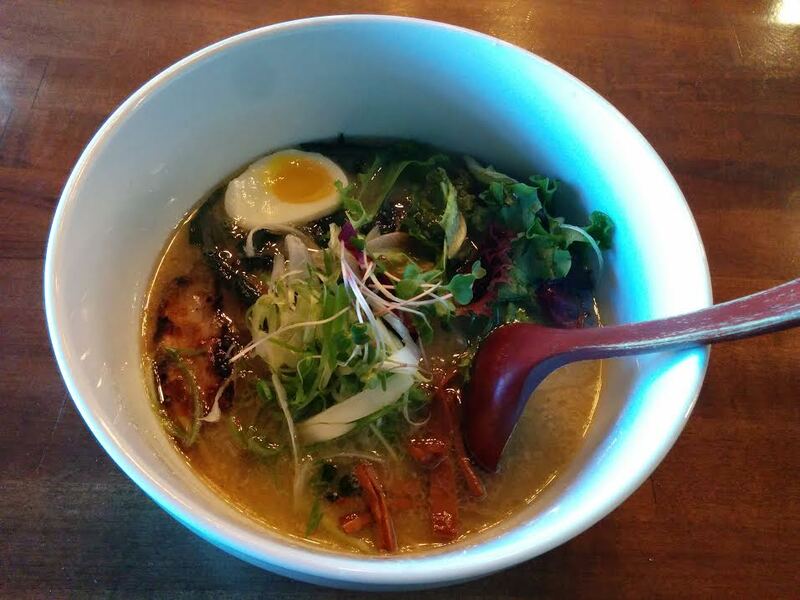 I made the trip to Bridgeland to eat at this hip and modern ramen joint with its hand-made noodles and rich broth that are known to sell out during the lunch rush. Classic and “New School” bowls are available, including a black tonkotsu ramen with squid ink. I went with a classic tonkotsu (pork bone broth) ramen, which was rich and delicious even if I found the microgreens a little distracting. We also tried the pork belly tacos which were AMAZING. Chili Goma ramen has a chili sesame broth, and Shikiji is notorious in Calgary for this super rich and spicy soup. This picture is from 2012, when I managed a last minute visit just days before I moved out of Calgary. I’m sure it is as good today as it was then. What’s your favourite bowl of soup in Calgary?